We are the Muskegon's area expert on installing waterfalls and ponds. 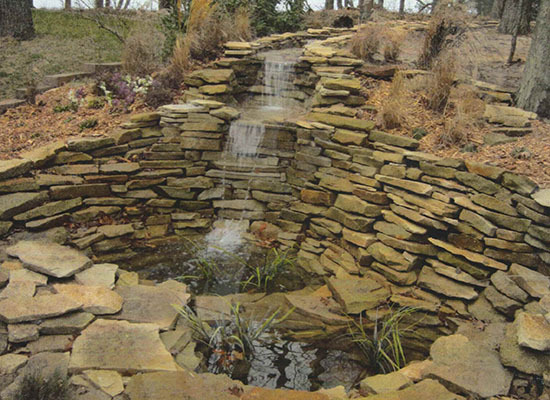 We focus our designs of your waterfall, pond and stream with different views in mind. We take advantage of a natural slopes for a stream and can install several small waterfalls or one large one. The ponds that we design and build are accent to one's yard, not one that overpowers it. Contact us today so we can discuss the perfect waterfall for your lawn.